On Tuesday, March 26, we will meet at noon at the middle school parking lot on Columbus St. to tour the Iowa Corn Mobile Education Trailer. The last meeting was March 12; we did not meet on March 19. What service have you given in the past couple of weeks? Please sign up for the March 30 club visioning session: open the document at the following link, place your cursor in one of the cells and type your name: visioning signup. Or, if you prefer, contact Steve Hanson (stevehansoniowa@gmail.com or 319-930-9827) and he will sign you up. Registration is now open for the D6000 Conference, May 2-4. To register, click the following link: https://rotary6000.org/event/district-conference-2019/. Community health workers across Pakistan have received more than 5,000 phones through a partnership with Rotary, its government as well as Telenor the country’s second-largest telecommunications provider and Eycon a data monitoring and evaluation specialist. Cell phone technology signals tremendous progress in polio eradication. 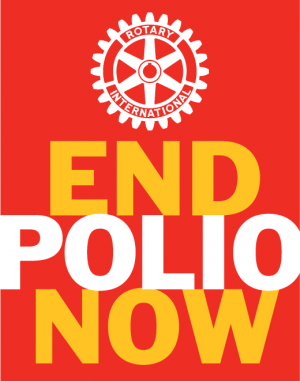 It gives governments and polio eradication leaders an advantage in the decisions needed to make to eliminate polio.